The Motability scheme has helped more than 3 million people get mobile. It’s a fantastic system that has access to more than 3,000 cars, with 250 cars exempt from an advance payment. The first step towards buying a Motability car is to assess whether you actually qualify for one. The Motability scheme is there to help disabled people get mobile. If you receive the Higher Rate Mobility Component of Disability Living Allowance (HRMC DLA), the Enhanced Rate of the Mobility Component of Personal Independence Payment (ERMC PIP) , the War Pensioners’ Mobility Supplement (WPMS) or the Armed Forces Independence Payment (AFIP), there is a good chance that you are eligible to apply, according to the Motability website. Once you have established that you qualify, next comes the stage of deciding which vehicle is best for you. There are several excellent cars for those who need maximum mobility. The Fiat Doblo, Renault Trafic, Renault Master, VW Caddy Maxi Life, VW Transporter, VW Caravelle and Mercedes-Benz Vito are typical examples that spring to mind. The Fiat Doblo is a particular bargain; it’s one of the cheapest transporters around, with a spacious interior and ramp access to the rear of the vehicle. Dealerships such as Bristol Street Versa have all of these cars available to buy as part of the Motability scheme. If you don’t require wheel chair access or all of 5 seats like the cars above, there are super minis to choose from, such as the excellent new Ford Fiesta. There are also premium cars such as the BMW 3-Series and Audi A5, although these require a much higher initial deposit than your humble super mini or transporter. The next step is to find a Motability dealer. There are (to date) more than 4,500 Motability-approved dealerships in the UK, a lot of which offer home visits or you can pop down and visit them for yourself. Just like when purchasing a car normally, we recommend that you visit a few different dealerships in order to get the best deal possible. Also, taking somebody who knows about the scheme fully is a good way to bargain the best price. 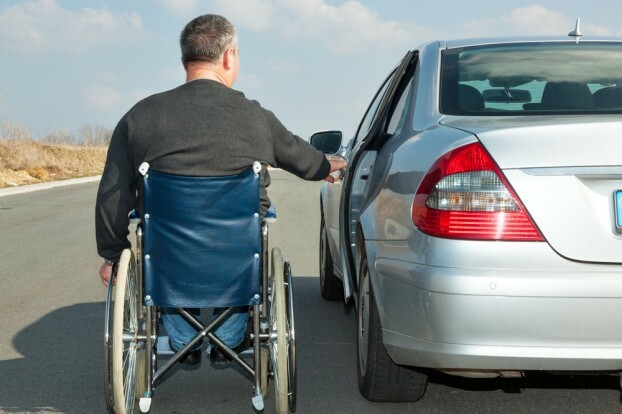 Be sure to take any mobility aids you require on a daily basis with you to the car viewing. This will allow you to get a feel for how good the car is in everyday situations, and help you to get a feel for the vehicle on the whole. Motability cars and vehicles can also be adapted for your needs. These include mechanical hand controls, steering aids, the revision of placement of pedals, electric handbrakes plus much more. The important thing to remember is that the Motability scheme isn’t just there to offer disabled people access to a good vehicle, it’s there to be tailored to their needs.